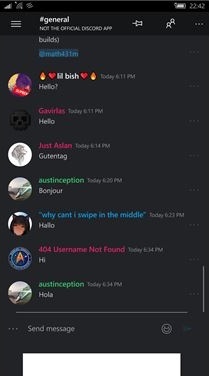 Discord is a VoIP application/platform designed for video gaming communities, with text, image, video and audio communication between users in a chat channel. 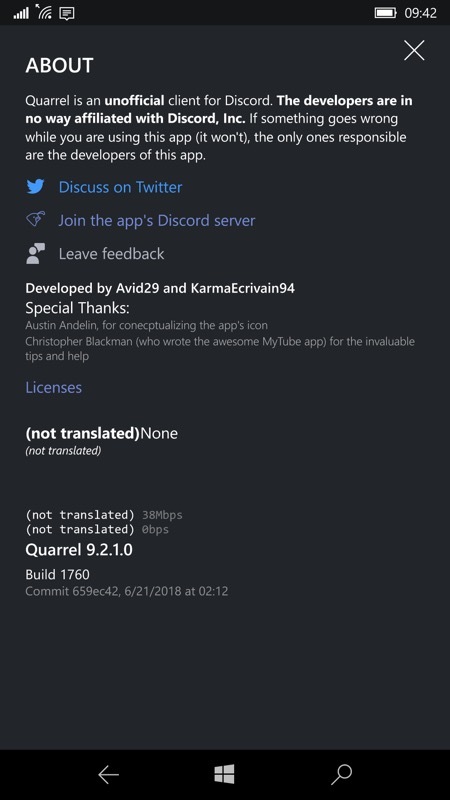 Discord currently has over 130 million unique users and you won't be surprised to learn that there's no official UWP client for Windows 10 - but you can now join in the fun with Quarrel, a third party client for the service. 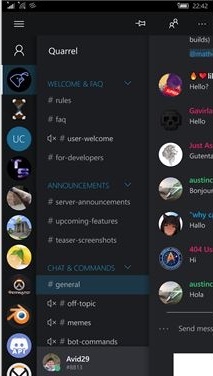 A frequently updated Discord client for all Windows devices aimed to spread the usability of Discord to Mobile, Xbox and HoloLens and non-Win32 tablets and PCs. 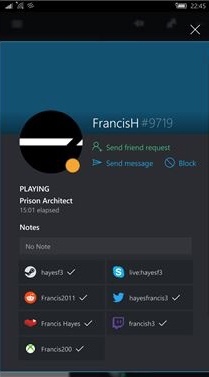 Unofficial, but very well implemented. 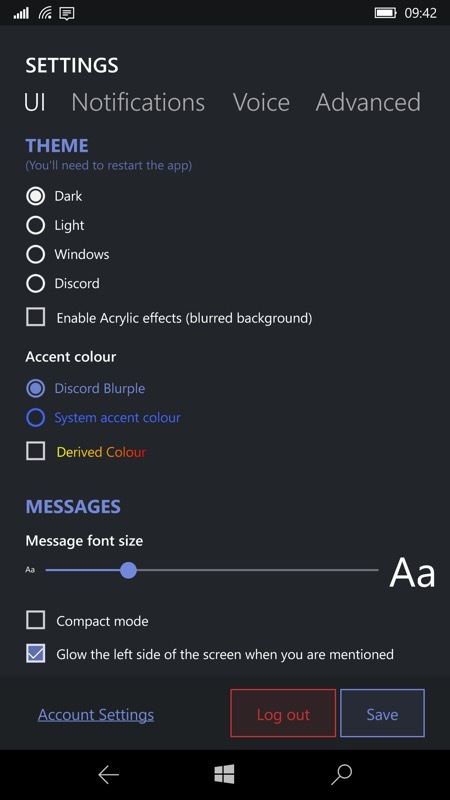 Don't be put off by the blank license data in the About screen, there's been a lot of effort put into the application as a whole; (right) theme options, plus control over font size and subtle UI effects like 'Acrylic' and side hints when you're mentioned. 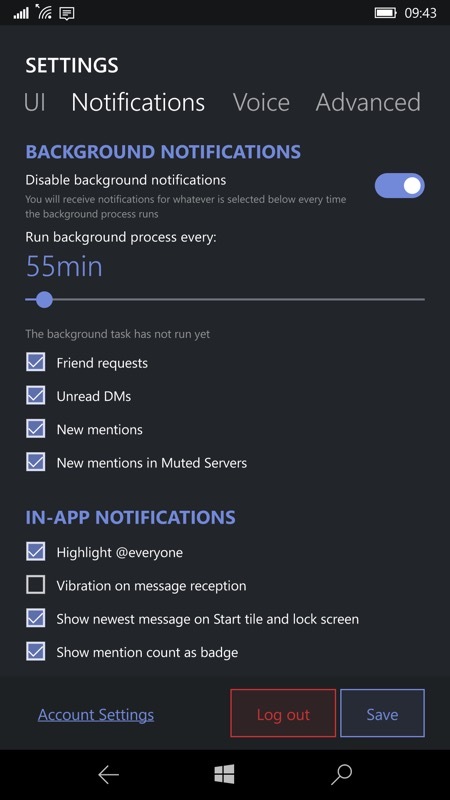 The Settings roll on and on. 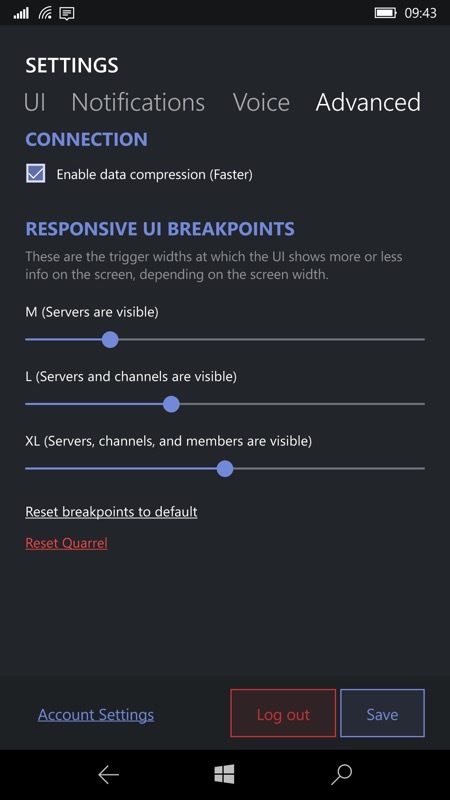 Complete control over background process timing - I've never seen that before, at least not with this granularity, in a third party app; (right) Amazing - control over the UI responsive break points - so a layout that's right for everyone on every device with every display scaling setting? Stocked with real gamer icons/avatars, and with colour coding throughout, Quarrel looks to be a treat. You can grab this in the Store here. 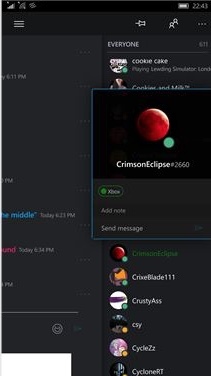 Anyone here a gamer and into Discord?